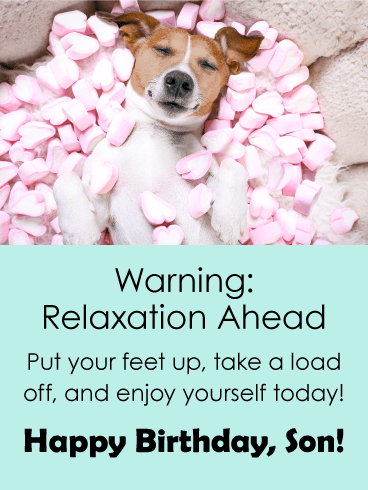 Warning: Relaxation Ahead Put your feet up, take a load off, and enjoy yourself today! Happy Birthday, Son! 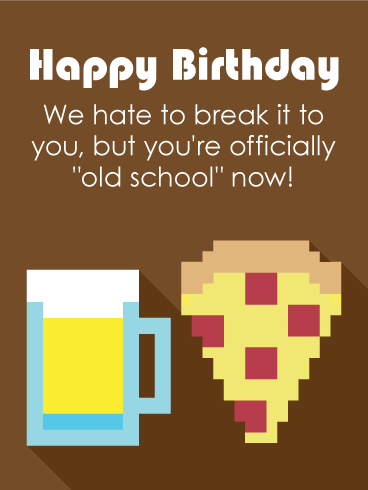 This birthday card gets right to the point, it lets your son know you want to wish him a happy birthday. It also lets him know that he is dear to you. Such a nice card! It features festive balloons of many colors and well as celebration confetti! 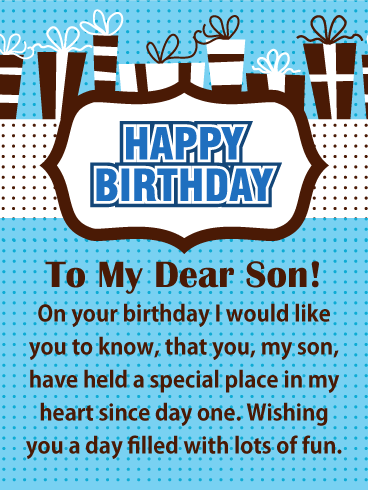 Be the first to wish your son a happy birthday on his special day by sending this birthday card out right away! 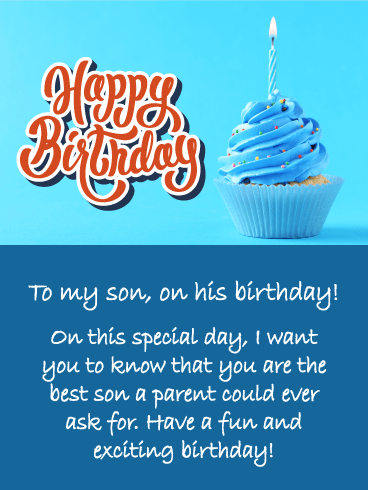 Your son's birthday only comes around once a year, so make it a special one by sending him this colorful exciting happy birthday card. The dog jumping after the balloons is a great image that represents being happy and carefree during this exciting time. The light blue background also features birthday balloons and streamers! 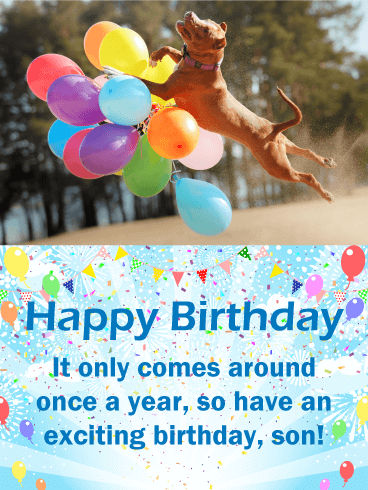 Send this joyful dog off to your son to share the excitement and to wish him a happy birthday. If you want to let your son know he is the best son a parent could ask for, then his birthday would be a perfect day to do so. This birthday card will let your son know how you feel and wish him a happy birthday at the same time. It features an awesome birthday cupcake with sparkles, as well as fancy happy birthday lettering! All these elements come together to create a birthday card worth sending to your son! 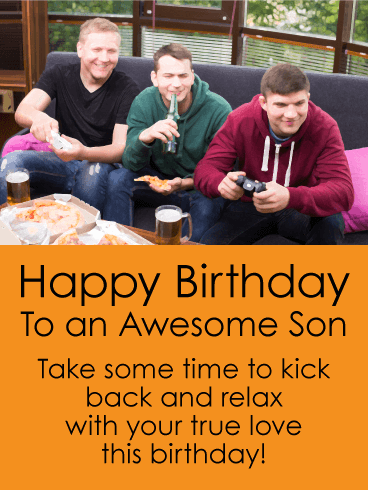 For your son's birthday, wish him a winning year with this awesome happy birthday card. It will inspire him to do great things for the year ahead. This birthday card features a football player that looks like he just won a big game! 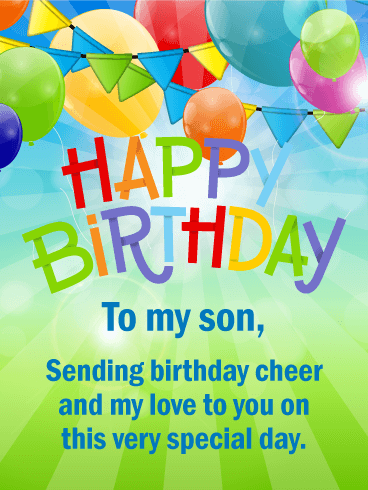 It displays a cheerful bright orange color behind a special message that wishes your exceptional son a happy birthday! 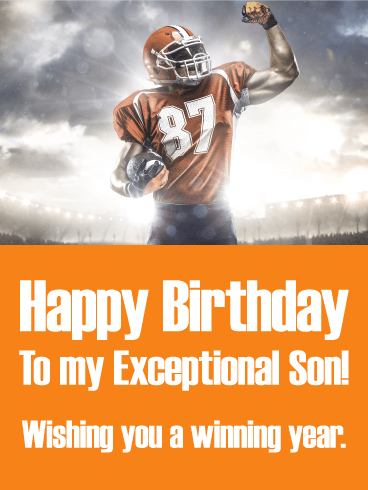 Pass this birthday card over to your son so he can start his winning year right way! 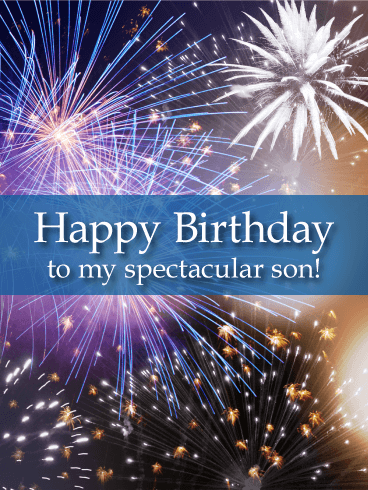 A son's birthday is a spectacular occasion worthy of celebration fireworks! Let your son know how excited you are about his birthday with this exceptional happy birthday card! It features bright fireworks in the night sky, always a great sight to see. 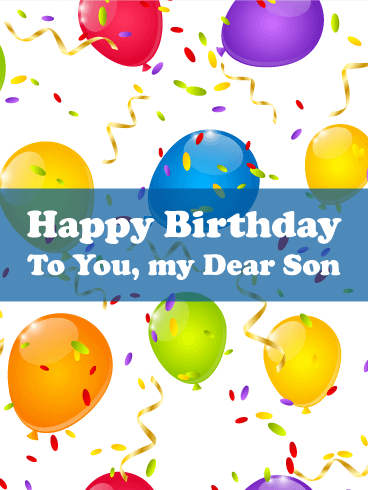 Send this wonderful card over to your son on his birthday today to get him excited about his special day! 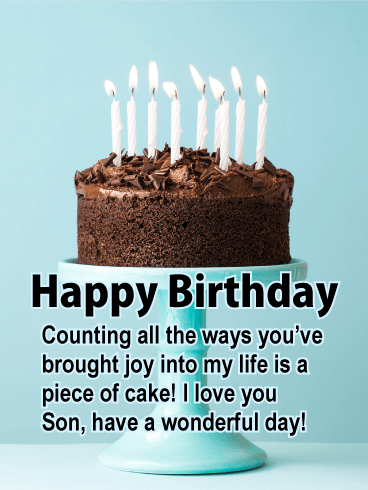 If you have watched your son grow into the amazing man he is today, let him know by sending this thoughtful happy birthday card. It features a perfect birthday cake complete with detailed decorative chocolate frosting and lite birthday candles! It certainly represents an important birthday celebration. It would mean a lot to your son to receive a special birthday card such as this on his birthday. It's that time of the year again, your son's birthday! 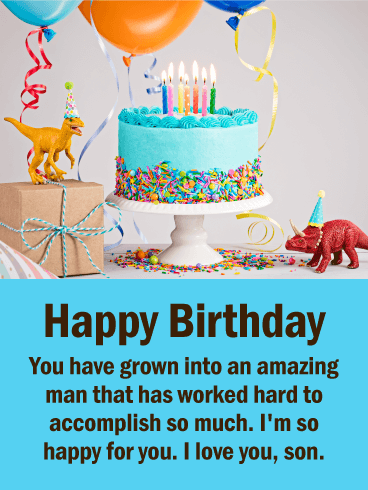 Wish him the best birthday ever with this terrific happy birthday card. It's bursting with color and sparkle, perfect for such an important event! 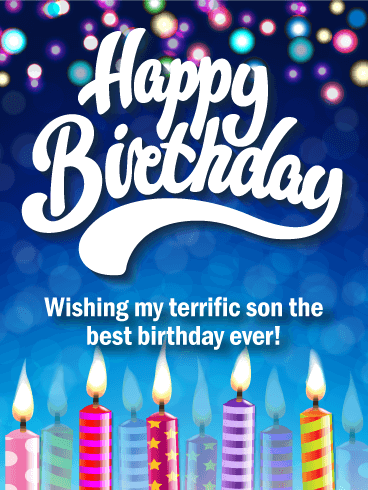 The birthday candles are lit and ready to go, so send this happy birthday card to your son to get his special day off to a great start!